In this post, I will include my fav pics from my trip, the best places to see during a short visit and some food/hotel recommendations. Are you ready for this? Lets start! Porto is a fascinating and vibrant city that is rapidly becoming one of Western Europe’s most respected tourist destinations. Indeed, in recent years it has attracted the attention of many tourists. 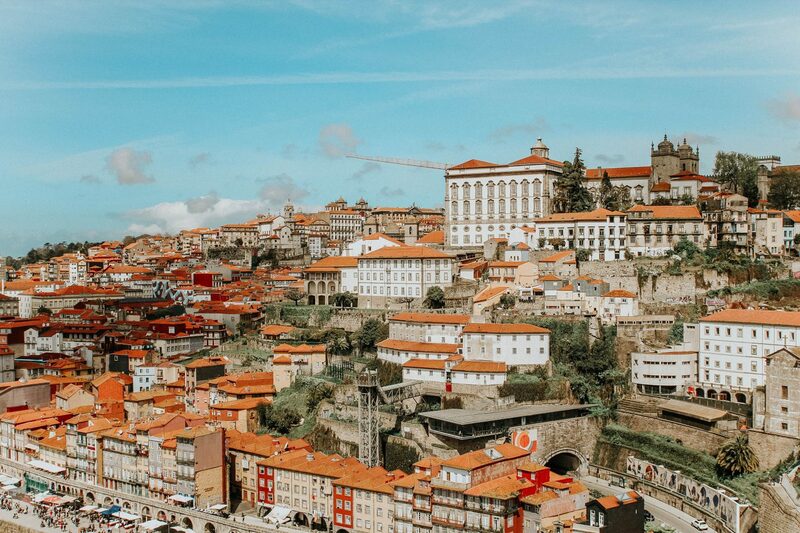 Located along the Douro river, Porto is one of the oldest European centers, and its historical core was proclaimed a World Heritage Site by UNESCO in 1996. The western part of the city expands to the coastline of the Atlantic Ocean, and the view from there is stunning! 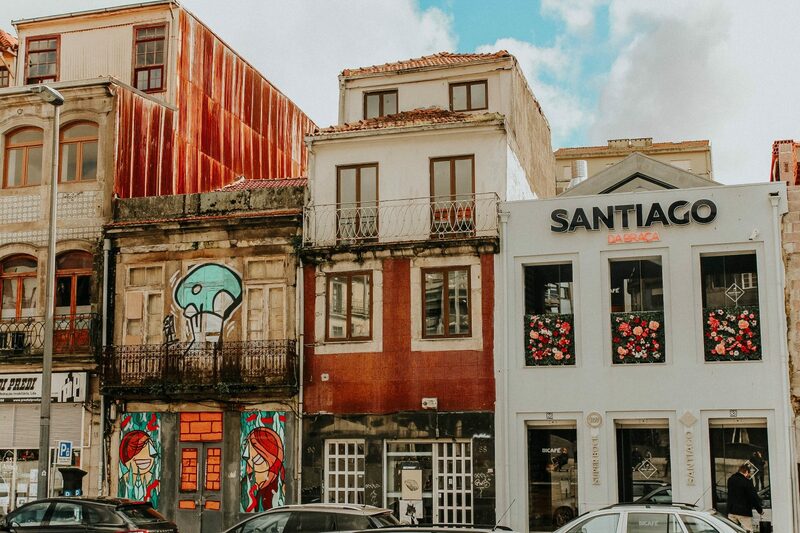 As the second largest city in Portugal, it has a lot to offer, from extensive history to interesting tourist sights and buzzing nightlife. 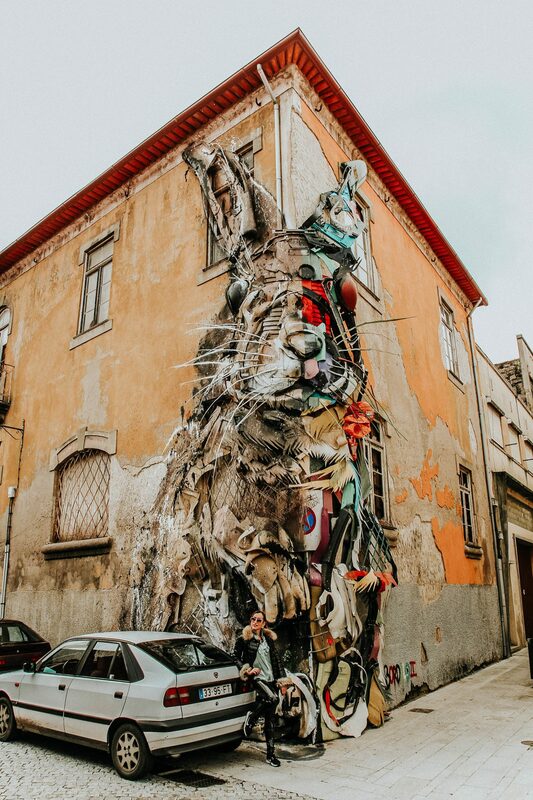 We were in Porto for just one weekend, and as always we had a plan of what exactly we wanted to see/try! A weekend is a very short visit, but I must say it was enough to visit all main touristic stops in the town. The key to getting everything done in a short visit is to be organized and to plan in advance what to visit and when. Dom Luís I Bridge – the main bridge connecting the two parts of Porto! It has absolutely stunning views (you can see the view on my IGTV video). Clérigos Church – one of the prettiest building I have recently seen. 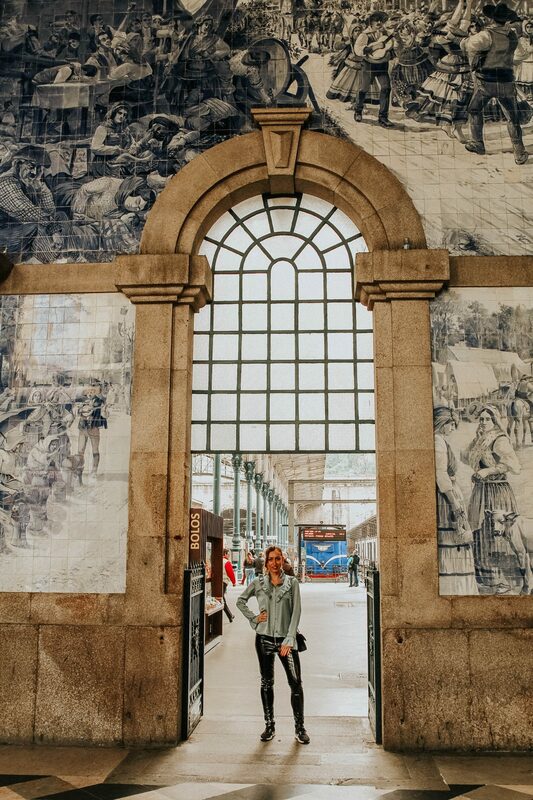 São Bento railway station – the station is famous for its elaborate azulejo tilework in the main vestibule, which is truly impressive. 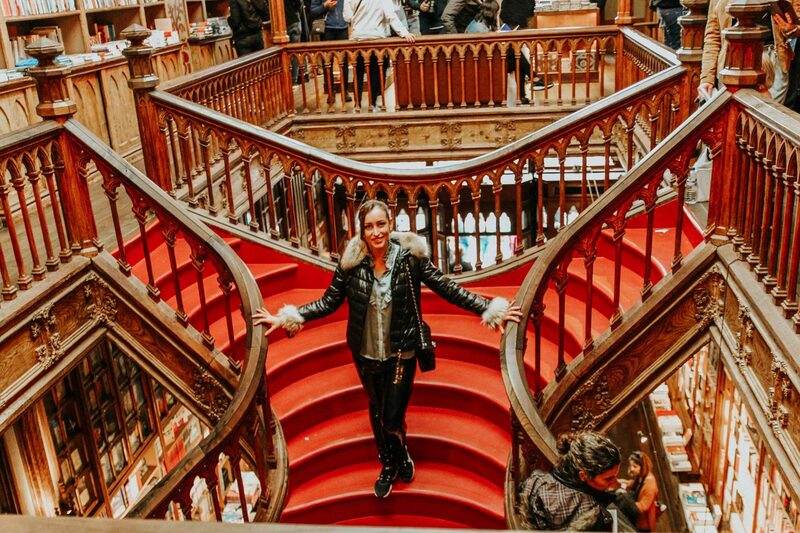 Livraria Lello – the bookstore that inspired J.K. Rowling to write Harry Potter. Once you enter the bookstore you will certainly feel the Harry Potter spirit inside! It is magnificent. 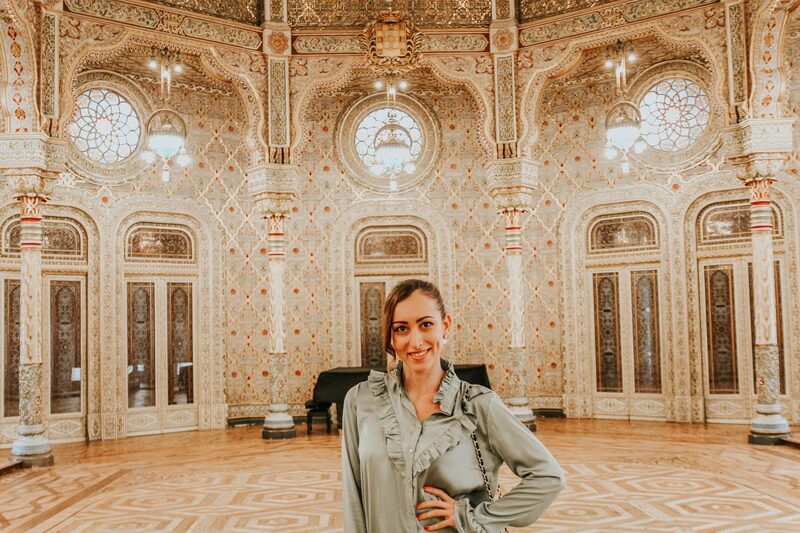 Palácio da Bolsa – a beautiful historical building in central Porto, which has one of the most beautiful Arab rooms I have seen. Porto Cathedral – this is the main cathedral in the city and there are fantastic views over Porto from there. Indeed, there are many things to see in Porto, but what is the most famous one? Probably the Port Wine! Port is a sweet wine with flavors of raspberry, blackberry, caramel, cinnamon and chocolate sauce. There are several different kinds of port, but the 2 primary styles of Port include a red Port with more berry and chocolate flavors (and slightly less sweetness), and a tawny-colored Port with more caramel and nut flavors (and more sweetness). 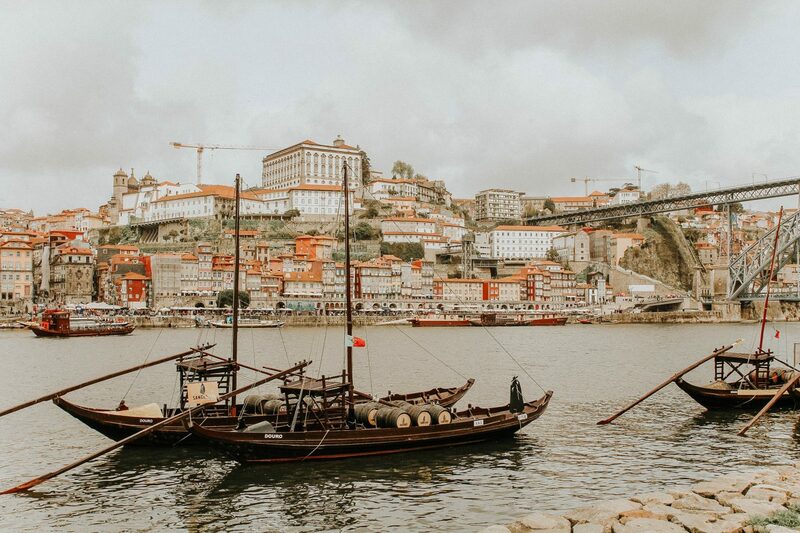 One of the best places to visit in Porto, especially if you are a fan of wine are the winery on the river side! We visited two wineries, which was a great opportunity to taste various Port wine. It was great to try it, but this wine is definitely not my top choice, as it is very sweet and strong. When it comes to food there are a few things which you have to try – the bacalao fish (it is typical for Portugal and it is super delicious); the Francesinha (a typical sandwich with gravy which is extremely yummy; tip do not go on Sunday as most places for Francesinha are closed then); the custard tarts – they are famous across Portugal and I am sure you would love them if you are a fan of custard cream. You also have to try the Porto tonic (it is made with Port wine and tonic water). When it comes to hotels, I would recommend you to stay somewhere central. We booked a hotel which was 5 min walk from the main shopping street and we did not use any transport. All main touristic spots are within walking distance across the city center. 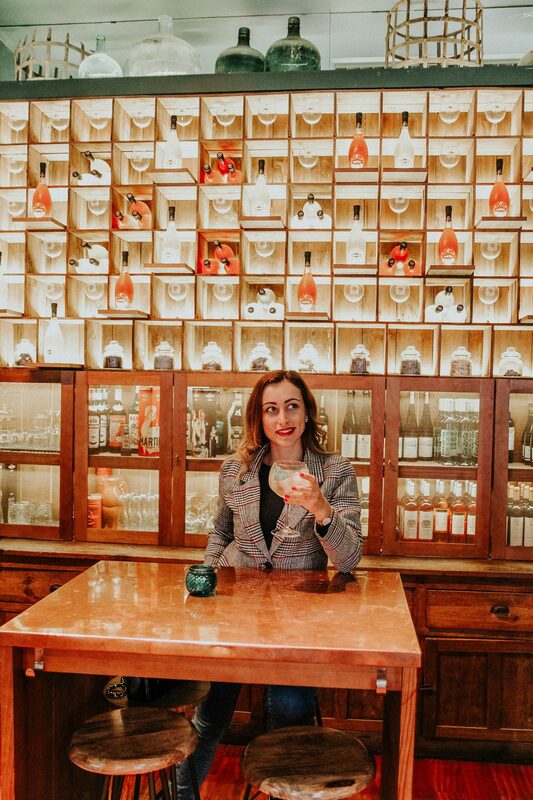 What I really loved about Porto is that it is not as busy as a capital city, but there is still lots to see and do! The atmosphere is very vibrant, the food is great and there is fantastic street art to be seen across the city. I hope this short summary of our trip was useful! You can also watch my IGTV video of our Porto trip here! Previous Post What is the Best Bra for Smaller Cup Sizes? I love reading your travel guides, your pics are so real it feels like I was there too! I visited Porto two years ago and I really loved it! That place looks really good, but where is your suit from? Been looking for a pink suit like this for a long time.. I have read several good stuff here. Definitely value bookmarking for revisiting. I wonder how so much attempt you put to make this kind of great informative web site.